Do you ever have those situations where you leave a meeting thinking “this could have been an email”? We have those situations too. But lately we’ve come to realize that the reason we were having those feelings was because we weren’t using our time wisely. We get off track or a phone call comes in and we all lose our train of thought. Many distractions can come in and throw off the groove of the meeting. Today we wanted to give some tips on things we started doing to make our meetings more effective. 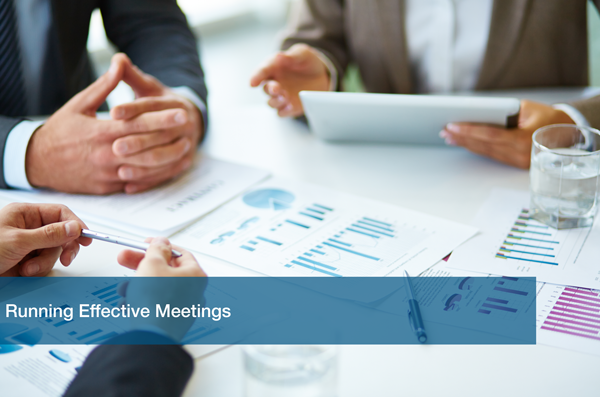 Create a meeting agenda before the meeting that outlines everything that will be discussed. If different people are going to be speaking, outline their topics of discussion by section so nothing gets missed. This has helped us stay on track tremendously. It also helps us remember what was discussed in previous meetings. Meeting agendas should also highlight who is going to be answering phone calls during the meeting so everyone else stays focused. Have someone keep time and someone else take notes. The time keeper ensures that the meeting doesn’t go over the allotted time. The note taker keeps record of everything that was said in the meeting. Our note taker will email everyone the notes after the meeting so we all have copies of what was said and discussed. Last but not least, keep the schedule consistent. We used to change our meeting times almost every week. Either one person was out or another was stuck in a phone call and then we would just end up not meeting. You have to talk to your team and come up with the perfect time to meet. Everyone should do their best to make sure they can reach a stopping point in their work before the meeting starts. Schedules help productivity. If you keep it consistent, the ideas will flow. This can also fit in nicely with your own work schedule. You know when you have to get things done to have them ready for the next meeting. Meetings don’t have to be a dull time. We’ve had plenty of meetings where the ideas are flowing and it’s hard to keep up. We’ve also had meetings that lasted maybe 10 minutes because there was truly nothing new to discuss. As long as they remain consistent everyone will stay on a productive track! For more fun company tips check out the rest of our blog posts or this great article from Scoro highlighting 12 proven tips for effective meetings!